Soft and comfortable shapes, the wraparound double backrest cushions and the thin armrests are the main features of Bristol, designed by Jean-Marie Massaud. This sofa allows to combine highly original layouts. Modular sofa with removable upholstery in fabric or leather. Price includes delivery to the USA. 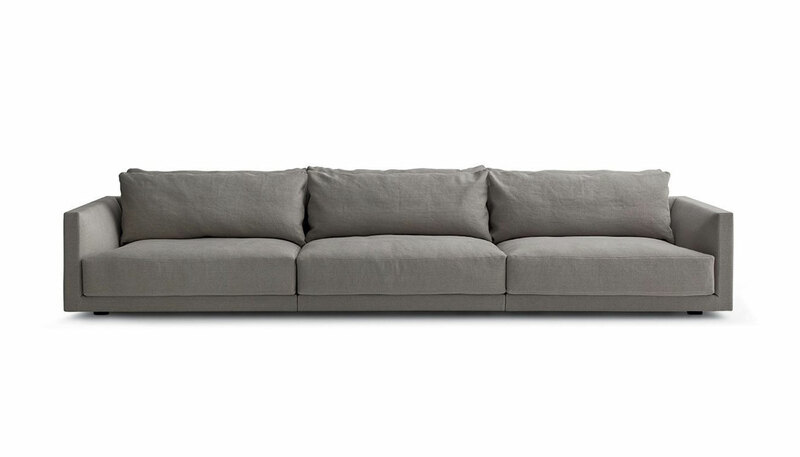 Manufactured by Poliform in Italy. Seat Height: 14.2" or 15"